A clear skin complexion is what all of us want to have. It is not easy to be flawless. Excess production of melanin in your body causes dark patches or spots on your skin. There are many other reasons for pigmentation on skin such as sun damage, hormonal imbalance and sometimes pigmentation can occur due to bad environmental factors. In some rare cases, pigmentation on the skin can be caused by a pigmentation disorder or as a side effect of a chronic disease. Diagnosis and treatment of the skin pigmentation by an expert dermatologist is all that you need to get a clearer skin. 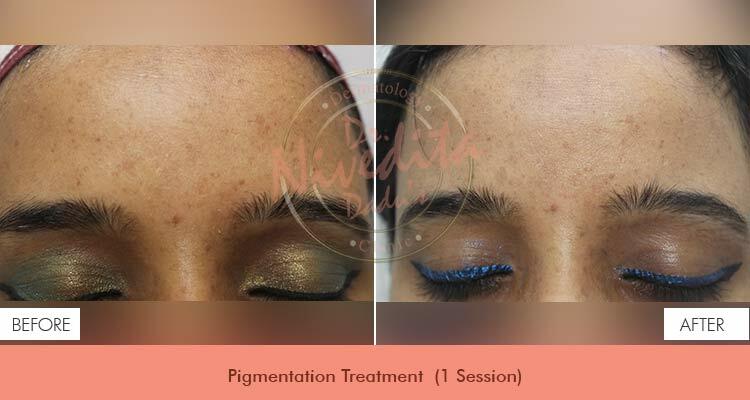 At Dr. Nivedita Dadu’s Dermatology Clinic in Rajouri Garden, Delhi, we always emphasize on finding out the root cause of the skin pigmentation first, before beginning the process of treatment to reduce the pigmentation. Knowing the underlying cause enables us to provide you exact medical advice and treatment for better and faster results. The use of laser has brought a revolution in dermatology procedures. 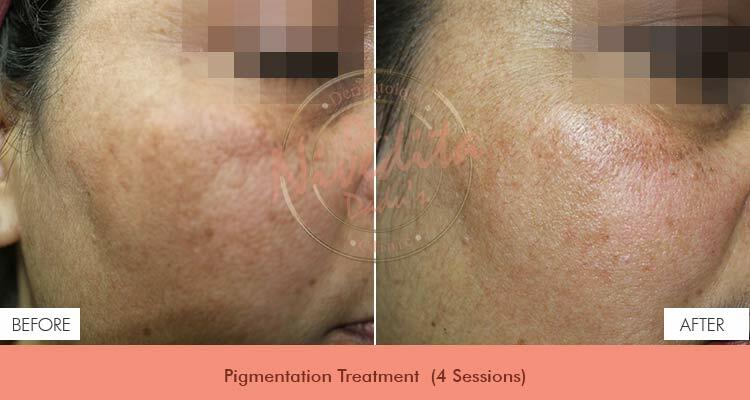 Laser Toning is a treatment for Skin Pigmentation which works naturally to enhance the collagen production by destroying pigmentation cells.